Missouri Attorney General Josh Hawley says he is continuing to investigate former Gov. Eric Greitens for possible wrongdoing. Hawley said Thursday that his office has two “open investigations” into Greitens, and that he is optimistic new Gov. Mike Parson’s staff will provide help, if needed. One of the probes is looking into allegations that Greitens and his staff violated the state’s Sunshine Law, in part by using a texting app that erased messages immediately after they are read. At issue is whether office records that should have been retained were destroyed. 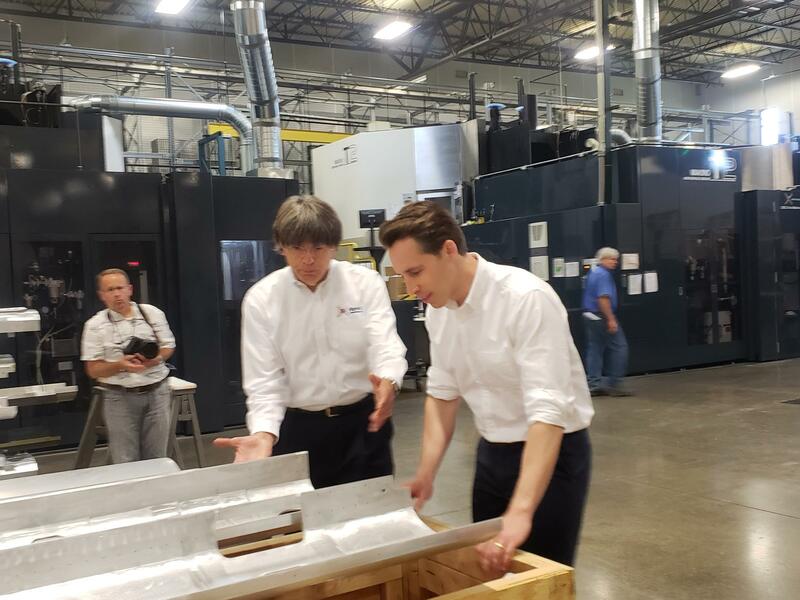 Missouri Attorney General Josh Hawley, right, examines equipment as Patriot Machines Vice President Robert Burns gives him a tour of the plant on Thursday. Hawley had come under fire for his office’s initial investigation into the matter, which concluded months ago that Greitens and his staff had likely not violated any open-records laws. Parson’s new staff may help in that regard, Hawley said. The second investigation, Hawley said, is a continued look into whether Greitens inappropriately used the donor list for a charity he helped create, called The Mission Continues, to help raise money for his campaign. 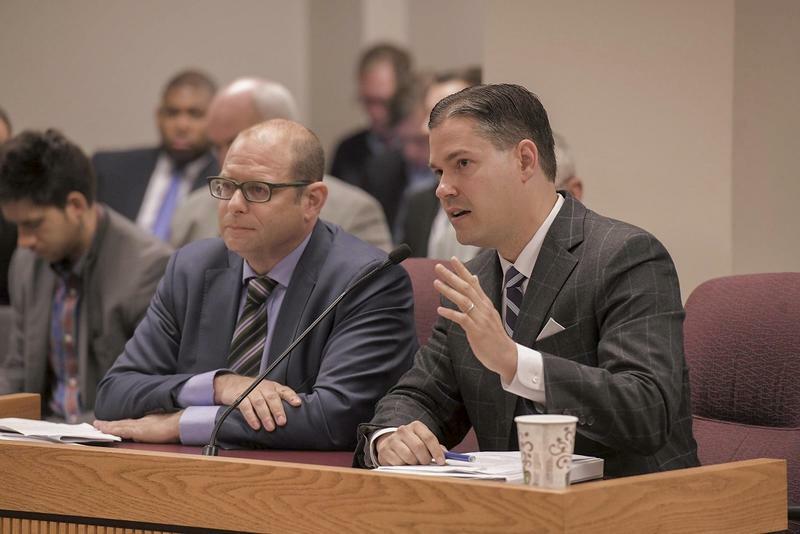 A Missouri House committee has yet to say whether it will continue its own probe into Greitens. He was under threat of impeachment when he resigned June 1. Hawley disputed any accusations that he had not been tough enough. Hawley’s comments came after a campaign event in St. Charles, where he toured Patriot Machine, Inc. The firm is owned by Judy and Robert Burns, who are strong Republican supporters of President Donald Trump. Judy Burns, the company’s president, said she is particularly opposed to abortion. “We believe in God and country,’’ she said. Trump headlined a campaign event for Hawley in March and is expected to return to Missouri this summer. 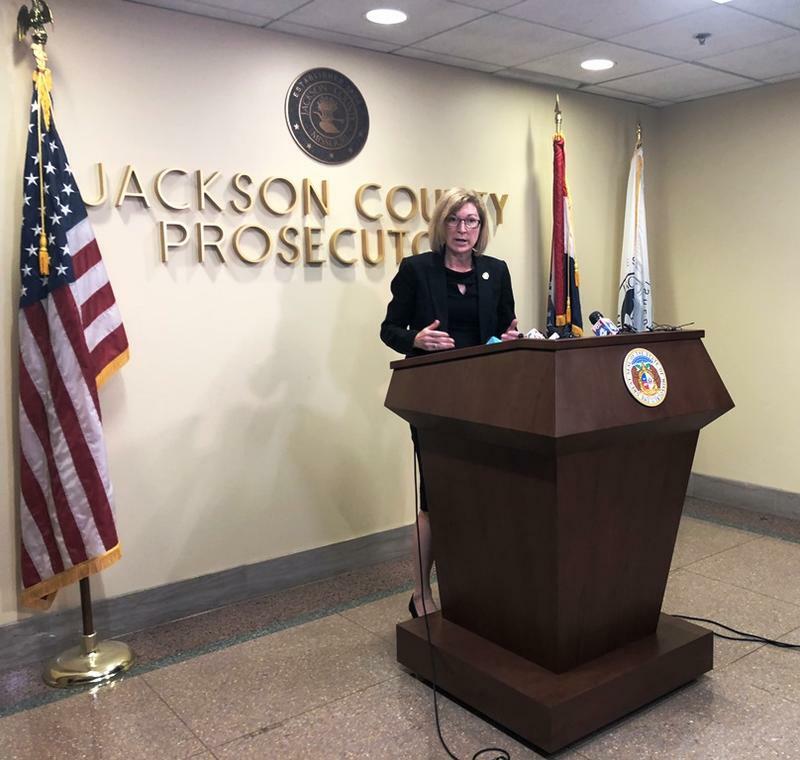 Updated at 5:15 p.m. June 8 with comments from Jean Peters Baker — A special prosecutor has decided not to charge former Missouri Gov. Eric Greitens in connection with an affair he had before he became governor. Updated at 10:45 a.m. June 7 with comments from Greitens' attorney — Former Missouri Gov. Eric Greitens admitted as part of a deal with St. Louis prosecutors that they had enough evidence to take him to trial over the use of a charity’s donor list for his campaign. Circuit Attorney Kim Gardner’s office on Wednesday released the full agreement that led to Greitens stepping down last week. Two paragraphs of that deal had originally been redacted. St. Louis Public Radio and other news outlets had filed requests under Missouri’s open records law to see the complete document. Attorney General Josh Hawley’s office ruled on Tuesday that it was an open record.